Helen and I went out yesterday with CJ, Ella and Mike for a run around North Wales including part of Snowdonia National Park. We met up Lymm Services at around 8:30am and then followed the M56 and A55 to Mold to get us into North Wales quicker. 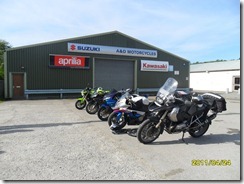 We then followed the A541 to Denbigh were we stopped at a café for a quick brew stop. We left Denbigh and joined the A543 and followed it over the open hill tops. It was a really nice open road with very good visibility and very little traffic. So we were able to really enjoy the A543 and its sweeping corners and lovely scenery. After the A543 we joined the A5 and followed it to Betws-y-Coed, where we stopped briefly while CJ reattached his number plate. 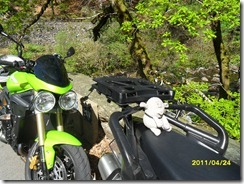 We left Betws-y-Coed on the A5 and followed it towards Bangor. 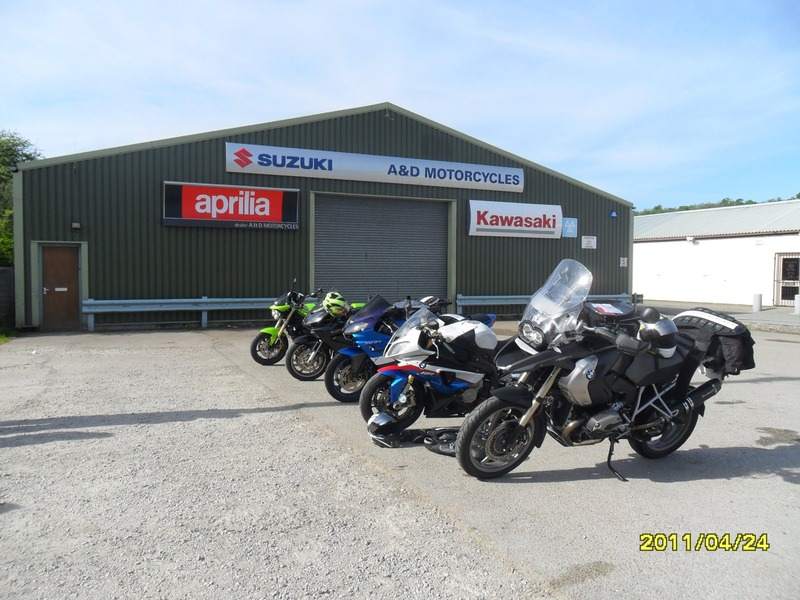 We turned off the A5 at Capel Curig and joined the A4086 and headed towards Caernarfon. 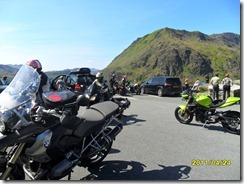 We then joined the A4085 and stopped briefly at the next parking spot to take some photos of Snowdon. We left and followed the A4085 all the way to Garreg where we joined the B4410, which took us across to the A487. 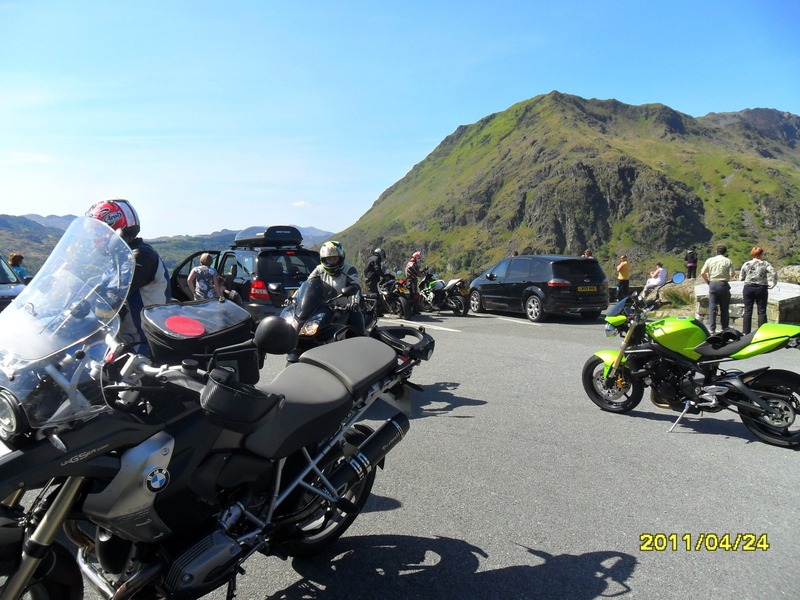 We followed the A487 briefly before joining the A470 just South of Llan Flestiniog. We followed the A470 South and soon passed through Trawsfynydd on our way to Dolgellau. We stopped in Dolgellau for some much need lunch and also to take on board fuel. 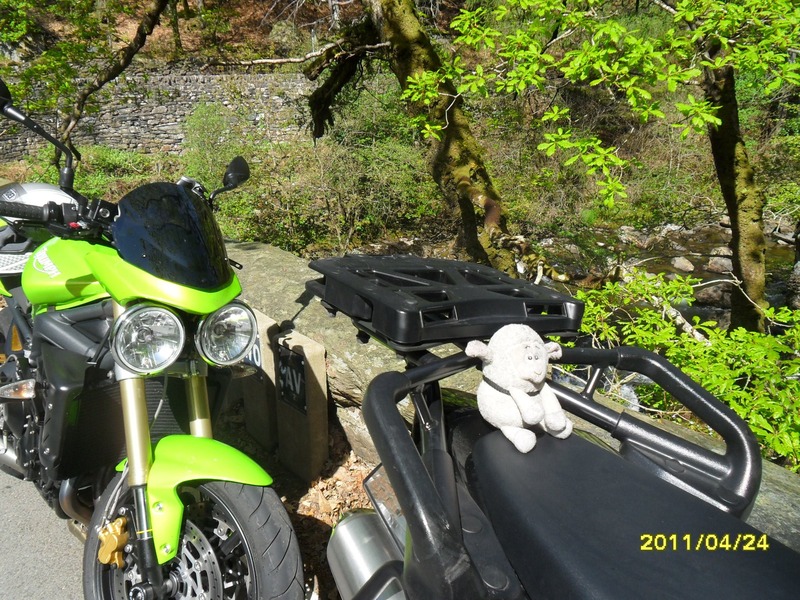 After lunch we left Dolgellau on the A494 and headed past Bala Lake and into Bala. We continued on the A494 and then joined the A5 and headed East towards Llangollen. We followed the A5 for a while and then joined the B5068 near to Chirk and followed that to Ellesmere. We stopped in Ellesmere for a short break as it was so hot we needed to take on board some more fluids. We left Ellesmere on the A495 and headed towards Whitchurch. At Whitchurch we joined the A49 and followed that all the way to the M56 via Tarporley. We then continued home via the M56, M6 and M62.